Part of my mission in Japan is to visit every castle that I can. There are hundreds of castles to visit and while I am pretty sure that I will not be able to visit all of them, my main goal is to at least visit all of the original castles. In August 2016, I came closer to that goal by visiting Marugame Castle. 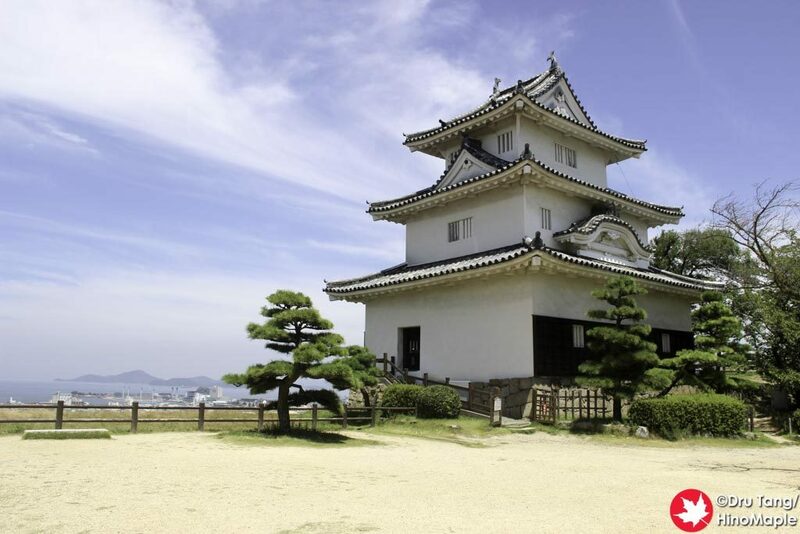 Marugame Castle is an original castle that has been around since 1597. Marugame is a short 30 minute train ride from Takamatsu. It is pretty easy to go there and from the station it is a short 10 minute walk. 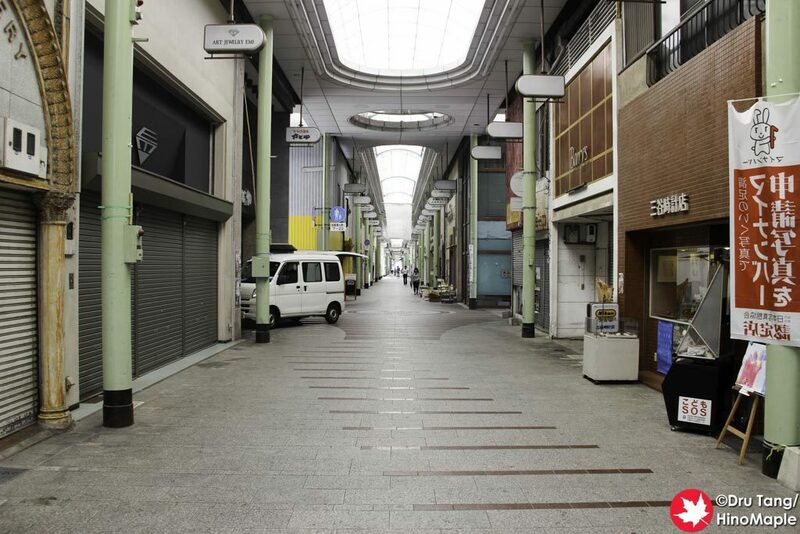 I walked along an old shotengai (shopping street) that was a bit of a disappointment. When you exit the station, head to the south side and you’ll see a covered street on the left. 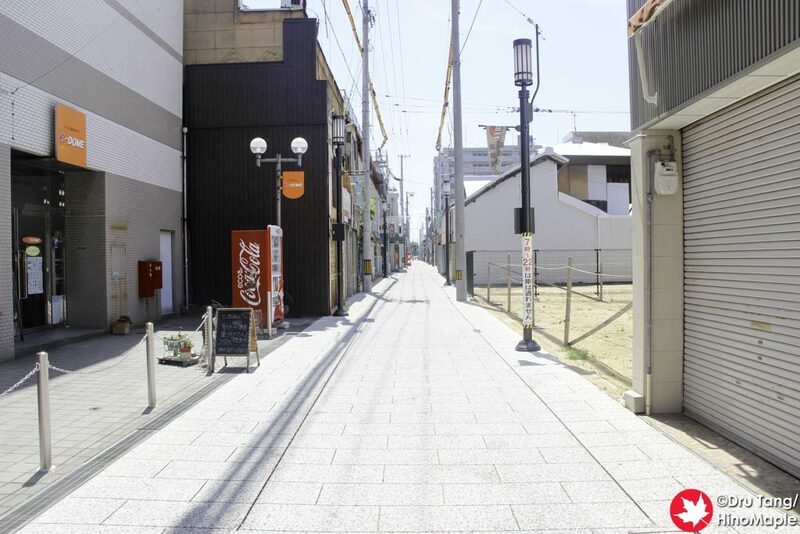 The street next to the entrance of the covered street is the fastest way to Marugame Castle. It is a bit boring as most of the shops appear to have closed down. There is another covered shotengai that is just 1 block into the covered street from the station that is relatively better. The walk to the castle isn’t difficult but be aware that during the summer months it will be excruciatingly hot. I took it easy and walked slowly but it was still a sauna. There are two main entrances to the castle grounds. 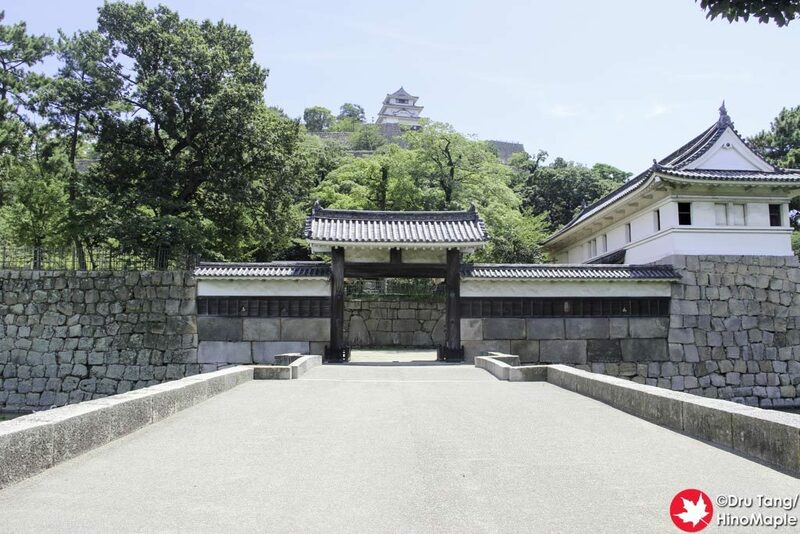 The main pedestrian entrance, Oteichinomon Gate, is on the north side. It is the best entrance to enter from, but I entered from the west entrance. The west entrance is for anyone who is driving as they have a parking lot in that area. 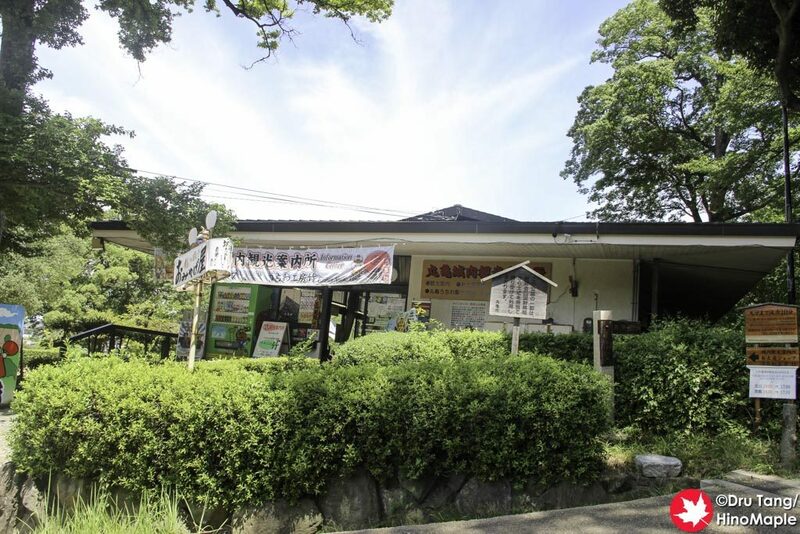 The western side of the castle grounds has a small museum, the Marugame City Museum. I didn’t venture inside as I wasn’t very interested and it wasn’t the Marugame Museum of Contemporary Art, which is well-known in the area. I then proceeded to the south side of the grounds to see what was in the back. 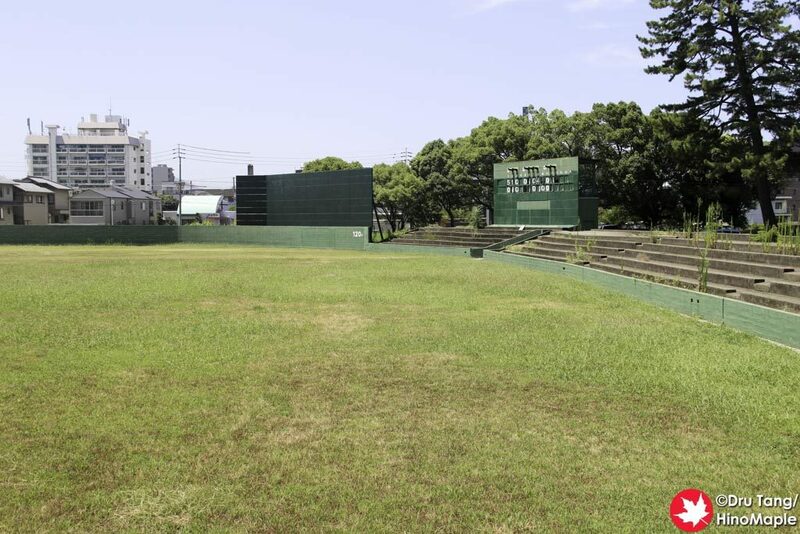 Surprisingly there is an abandoned baseball field, or at least I believe it is abandoned. For a public area, you’d think they’d either take care of it or just cover it up somewhat. It is a really interesting site to see in the middle of a tourist attraction. 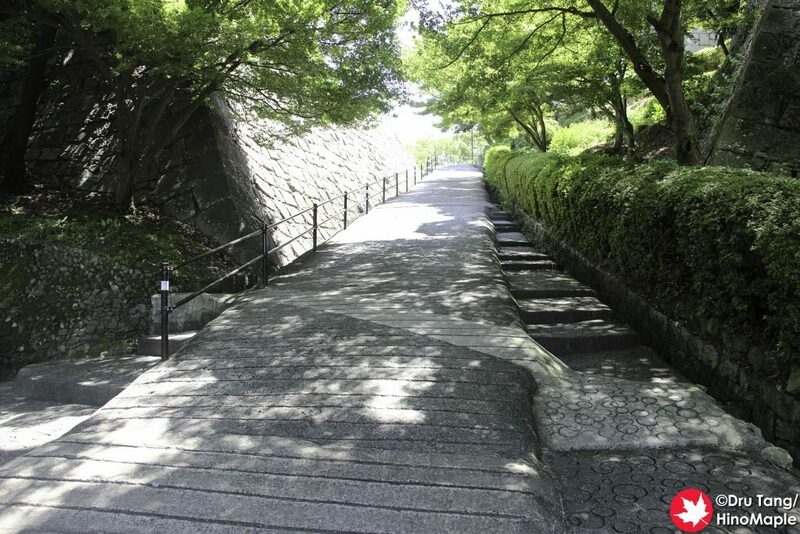 Heading up the back of Marugame is actually a lot easier than heading up from the main entrance. 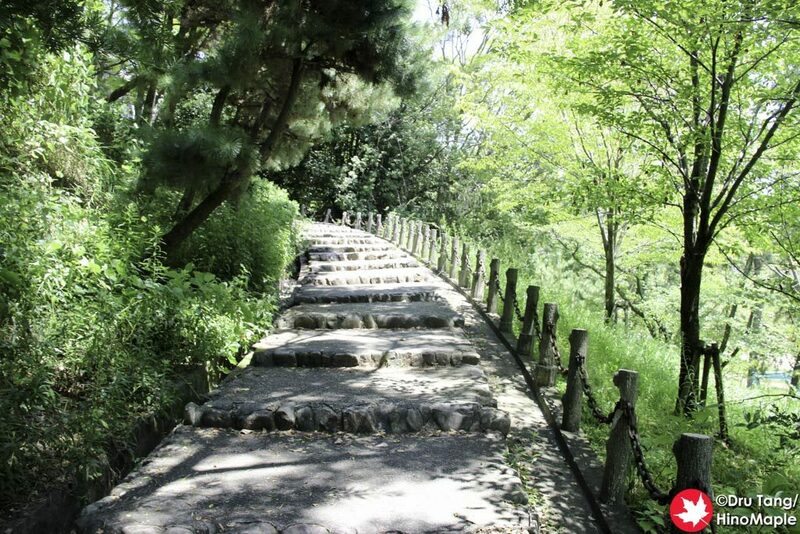 The main entrance has a very steep slope to get to the top while the back has a gentle set of stairs. The stairs takes you to the first landing of the hill and it provides really good views of the area. I do recommend walking around the first landing as you can get close to the castle walls and there are some “secret” paths to go up as well. The paths are unkempt but I did see a few people trying to hike up them a little, but probably not all the way up. From the second level, I hiked up the main road up to the third level of the hill. I had to be a little careful as a custodian was driving his mini-pickup back down so it was a bit precarious at first until he passed. You can see the tire burn marks that they make when they struggle to get up the hill. It was fun to see but the third level was pretty boring. There really isn’t anything to see but it is a good place to rest. 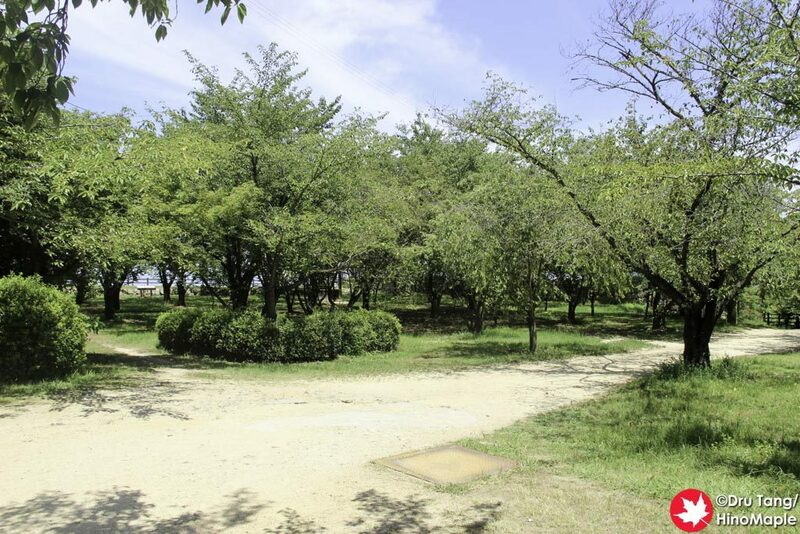 It is probably better during the cherry blossom season, or whenever the trees blossom. The fourth level is not really that different to the third level. In fact, you may even consider it the same, but the fourth level is more open with better views of the area. It is also where the castle keep is. The top of the hill has the best views but that doesn’t make them the best. I preferred the views from the second level compared to the top level but the views from the castle keep are the best. The castle keep is supposed to be the smallest keep in all of Japan. I didn’t know it before I visited and when I arrived at the top, all I could think was “that’s it?” I was really disappointed but I still went in anyways. 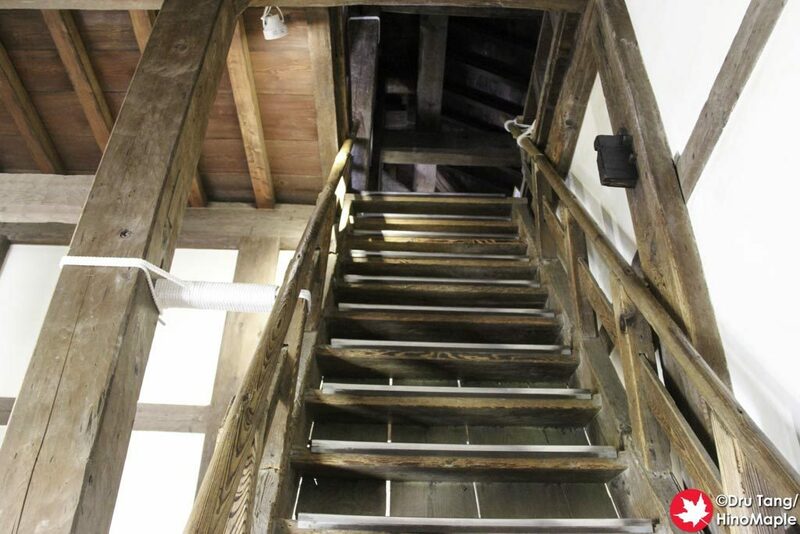 The keep is 3 floors and the stairs are really steep. Most castles have very steep stair cases but this keep felt like it was the steepest. The top of the keep was really nice. The wind was blowing through the top from north to south and the breeze was welcomed on the hot August day. 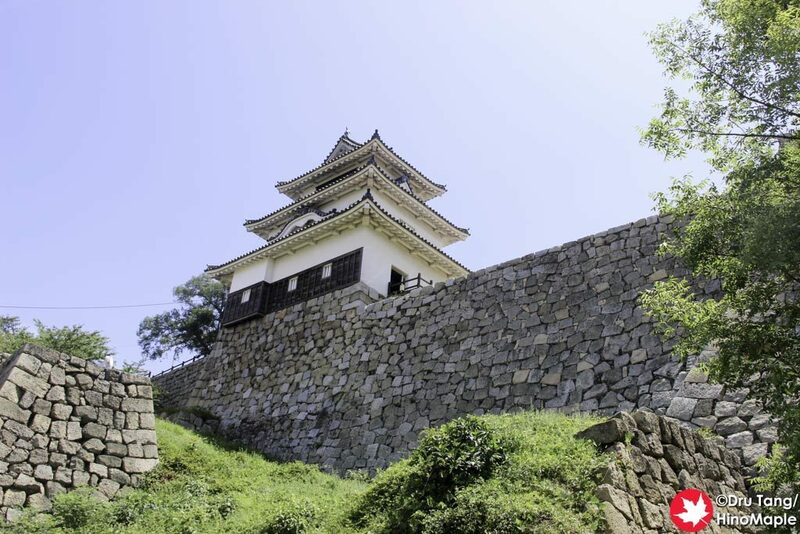 While Marugame is not very popular, it is still busier than when I visited Kochi Castle. The top of the keep usually had someone in it but I did have a little time to myself. I really enjoy having the castle keep all to myself and if you have ever been to the more famous castles, you can really appreciate the peace and quiet that a small castle provides. 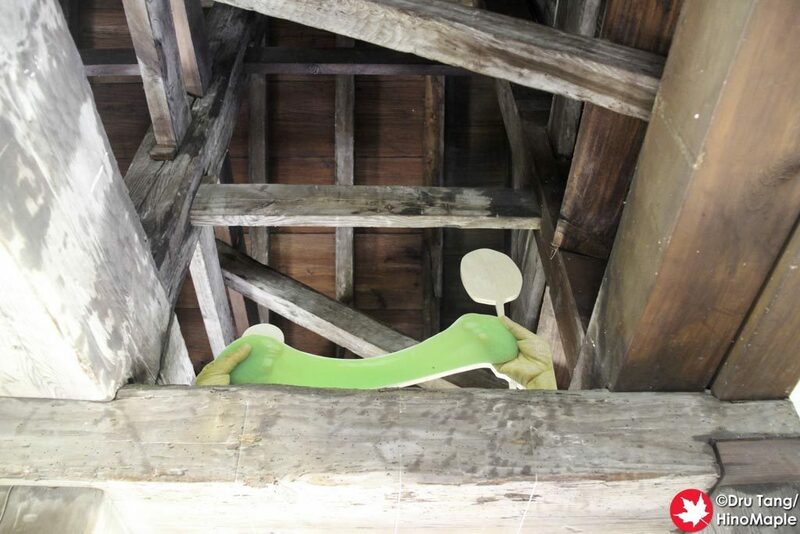 The top of the castle keep also had a little art in conjunction with the nearby Marugame Museum of Contemporary Art. It wasn’t really interesting but it was something to see. I was pretty much the only visitor to really notice them as the art was located in the rafters of the keep. The views are still the best part of the keep and you can see the Great Seto Bridge as well as some of the mountains to the south. I spent a lot of time just relaxing at the top and didn’t really want to leave. On my way out, I headed down the main route to the north side of the castle grounds. There is a small gift shop at the base of the road to the top and there are some nice castle walls around the gate. There really isn’t that much to do in the castle grounds but it is a nice place to just relax. 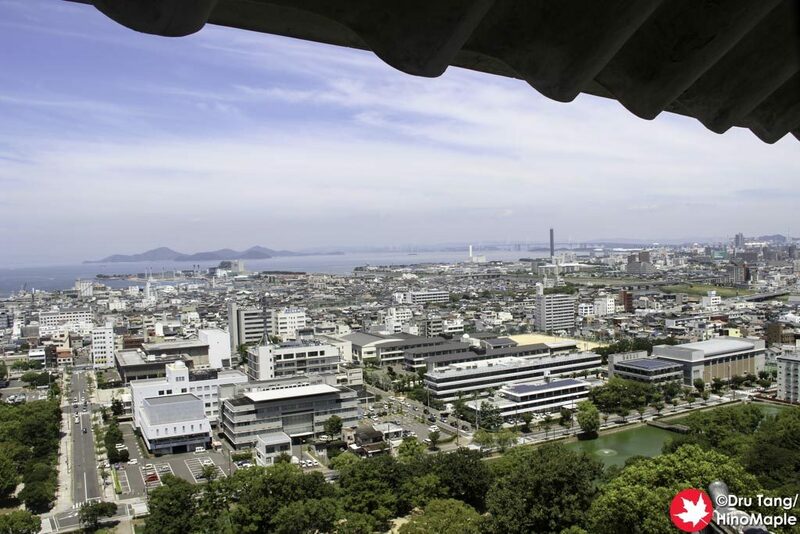 Marugame Castle may not be everyone’s cup of tea. I really did enjoy it but not as much as I would have liked. I doubt I’ll go back again and I know my experience was somewhat affected by the heat. I still think it is a nice place and if you haven’t visited a small town castle before, it is worth a visit. I even had time to get a little chicken at Ikkaku, whose original shop is in Marugame. 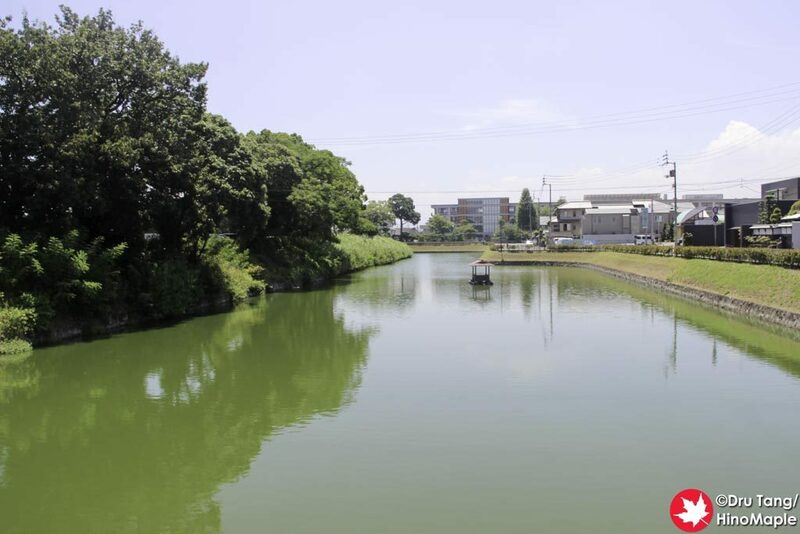 Be sure to stop by if you have time on your hands while you are in Takamatsu. 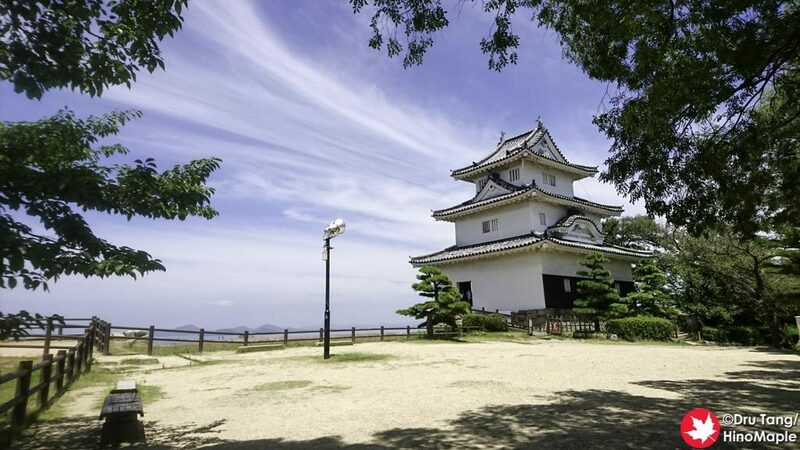 This entry was posted in Shikoku and tagged castle, Castle Keep, japan, Japanese Castle, Kagawa, Marugame, Marugame Castle, Takamatsu by Dru. Bookmark the permalink.